Ooo it’s getting cold here and there is nothing better to warm you up and give you sustenance than a hearty bowl of soup. 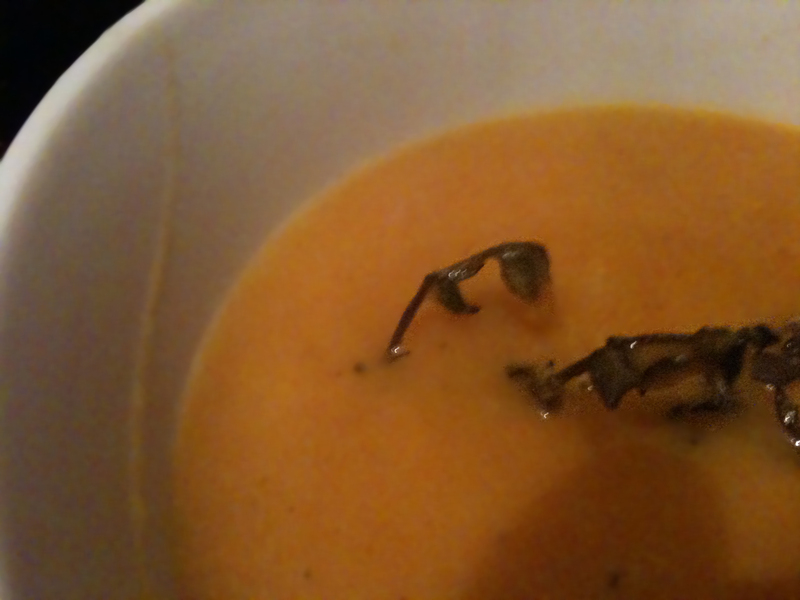 I have not had the energy to cook for a while, hence why I unfortunately had to forgo last months Daring Baker’s challenge; and so it was with glee that I took to the kitchen and decided soup was on the menu. 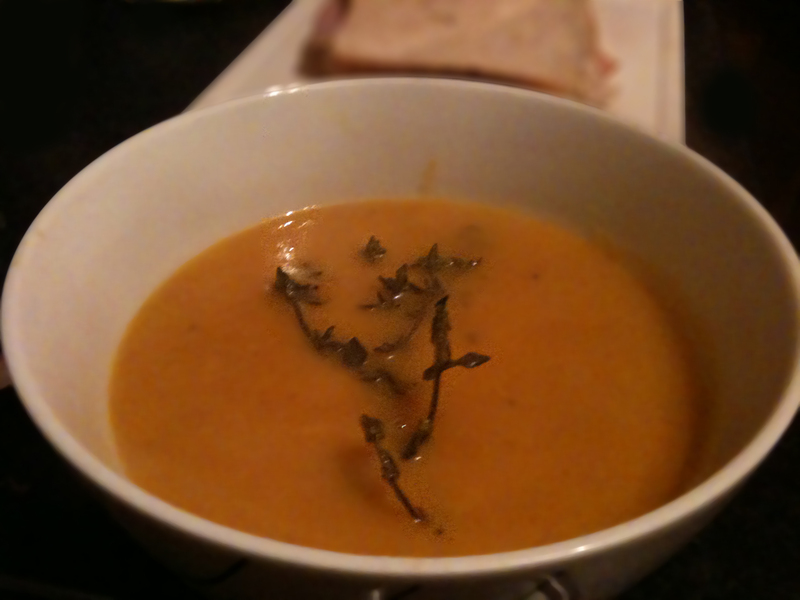 My lovely mother had made a creamy coconut-y butternut squash soup so I decided since i’d never even bought a butternut squash before let alone cook with one that I would give it a go. I looked up a myriad of recipes and decided on a combination of them all, with ad added kick as himself was returning after a five day absence and he has a weakness for all things spicy. Ok, so, it’s a fairly easy soup to make, it just take’s a little time. Firstly, pre heat your oven to 180 degrees celsius. Cut your squash in half and scoop out the seeds. Sprinkle with a little olive oil and place flesh side down in a baking tray. Cover with a few sprigs of thyme and a few cloves of garlic. Bake in the oven for 30-40 mins. Whilst this is doing its thing in the oven melt some butter in a saucepan. Sautee a diced onion, a few carrots and a potato. Season with salt and pepper, a tsp of curry powder and half a tsp of ginger. When all this has turned golden add about a pint of chicken stock and slowly simmer for 20 mins. When the squash is ready remove from the oven, scoop out the flesh and add to the soup along with the roast garlic. Blend, serve and tuck in!! !